Butterflies everywhere! 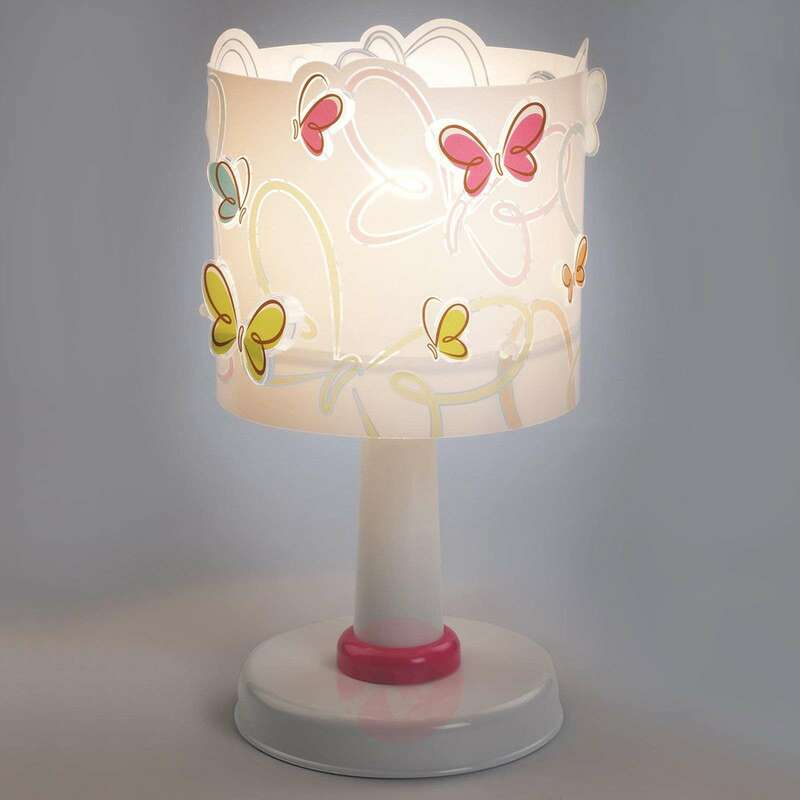 The little friends of springtime appear to fly around the lampshade of this table lamp to create a colourful appearance that will lift the mood of the onlooker. 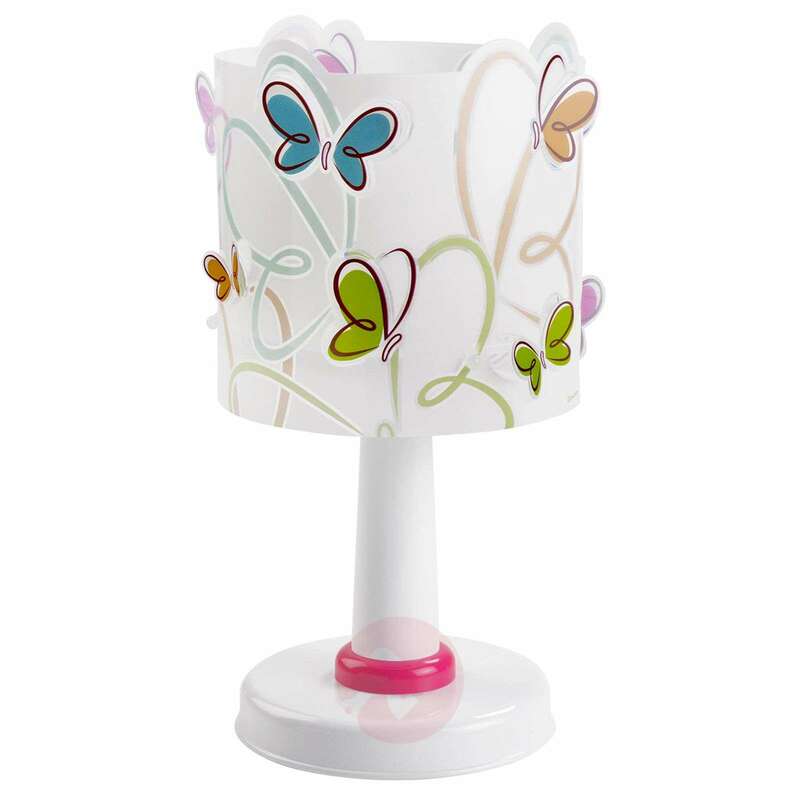 The table lamp is a real highlight when placed in children's bedrooms. 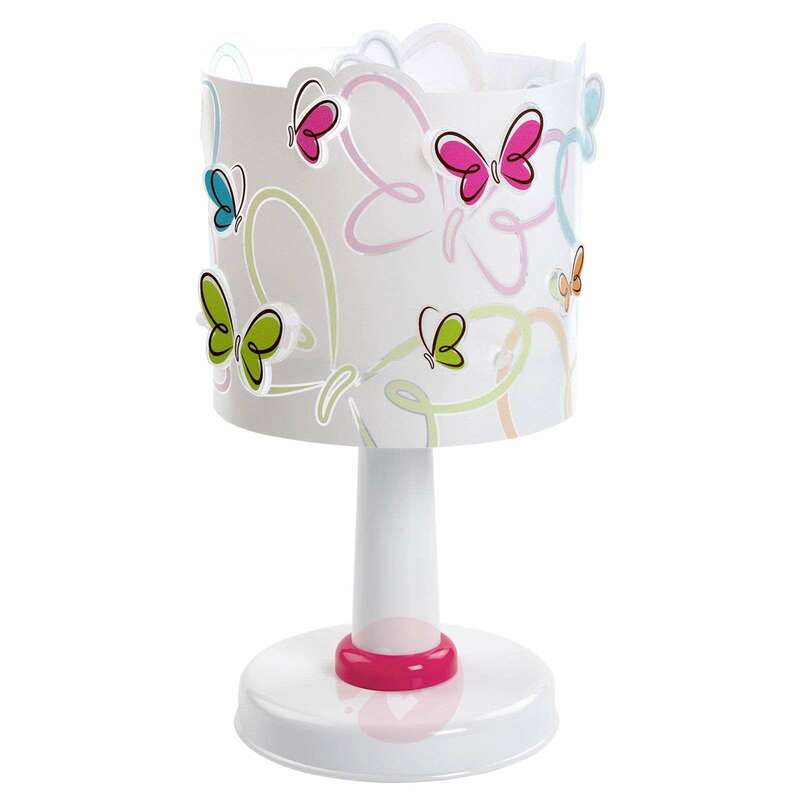 The colourful lampshade is complemented by a white plastic base with a pink, decorative ring. Is this a touch lamp? thank you for your question. No, this light is not a touch lamp. This light is turned on with a switch on the lamp.